and no more vacuum ! 1. Can use any emulsion with all existing equipment and chemicals. 2. We inkjet sharp image on the frame which emulsion has coated. 3. The head equipped with IR lamp in order to dry up image instantly. 4. LED/UV exposure right after inkjet to harden non-black image area. 5. Do not have to use vacuum unit and do exposure again any more. 6. Time and labor saving also prevent failure due to in-sufficient vacuum. 7. Clear and sharp printing results because of ZERO gap with screen mesh. 8. Rest of plate making procedures are the same as your routine works. 9. Stepping by PLC controlled servo motor good for multi-color registration. 10. Inkjet on MESH surface don’t matter FRAME is bend or not square at all. How to do next when photographic film disappears? The first few wave of rumors in the past that photographic film manufacturers will announce to stop manufacturing as well as photographic film is about to terminate the production and disappear again recently. For printing and plate making industry how to respond it, how to choose alternative plan to face this problem for future production requirement? CTP (Computer To Plate) without film imaging technology This is a direct inkjet imaging on the plate latest technology, the image directly on plate can be omitted the film, and because of direct imaging, film and plate are “Zero” distance in between, so that the image is very sharp and can save the vacuum suction process (especially the screen frames) and the plate handling trouble and damage (especially when the large plate). Required material is only Inkjet ink, do not have to use film, can reduce lot of cost also eliminates the need for a lot of steps, operators can also be more rapid operation to reduce operating time. The principle is to move the printer on a flatbed, any plate just put on the bed then can print the image, the time of printing is the same as on the film. The flatbed can equip with UV lamp for direct plate exposure. Not only IR (infrared) lamp can put on the head section of printer to dry up the ink, but also add LED / UV to do exposure right after image print. This second option is current a hot item for corrugated printing plate and screen plate making industries. Their future is not afraid of the disappearance of photosensitive film. CTS Computer To Screen Pioneer ! Why Inkjet CTS with led/UV exposure inline ? In the past, talking about CTS (Computer To Screen) or direct image on a screen frame, people will think of a tremendous equipment with a big projection head and a very high intensive UV lighting by using strong power supply focusing image to the screen frame by a lens acting as a powerful projector which is not possible for using in common screen plate making factory because of it is too expensive and not efficient. Due to creative and versatile development of inkjet technology, to spray an image on a non treated or coated film or on an emulsion coated screen frame with the emulsions which everybody is using everyday in detailed and fine images are very easy to achieve nowadays, so that to print a fine black image on a screen frame directly as a photo film is no longer difficult any more. The printer is easy to get from the market now at reasonable price and fine image can be reproduced sharply direct on a screen frame. Furthermore due to new developments of led UV technology, to inkjet a black image on frame instead of using photo film and then exposure by the inline UV after printer spraying the image on mesh simultaneously to complete CTS + UV exposure is not only a dram anymore. 1. You do not have to use photographic film, this will save you not only processing equipment but also expensive costs of photo film, chemicals of developing the film and electricity to maintain the processor… Now the new way of CTS direct image to screen + UV exposure from an inkjet printer is costing you only USD 0.70 per square meter while from the conventional way of photo film cost from an image setter by using photographic film is costing you at least USD 4.00 /m2 if ignoring the expensive equipment costs. 2. An image setter is also cost too much comparing with a print out from inkjet printer. If you are using a second hand image setter which is retired from offset industry is now also the time to rebuild or repurchase which means that you have to pay for the expensive spare parts and expenses of maintaining the equipment despite of the high cost of photo film which is fading out from market. CTS inkjet from NozzleBlack is your best choice now. 3. CTS system from NozzleBlack can print your image on any thickness of screen frame free of size as long as the flat bed size is big enough for your frame and without locking the frame. Our NozzleBlack can just printing it very even and smoothly on the screen surface mounted to frame with printable tension with inline UV exposure as your routine job for you. 4. NB-nano black ink is a another new development by which enable to print higher opaque density black ink on the screen due to nano 20 technology density now can increase over 3.50, which is good for longest exposure time requirement. Also because of nano technology the ink layer is very thin and easy to take off from screen during developing with no pin holes on solid black area as well as it is less opportunity to block the printer nozzles. 5. After inkjet, the black ink is hardened and dry, the image is sharp will not spread and inflate so it is good for the inline UV exposure on the printer but it is easy to be solved away and take off during developing process without any residue, after drying the screen other procedures are the same with the conventional plate making of a screen frame. 6. Due to direct image on screen, therefore do not have to use vacuum pump any more, the always happened nightmares of insufficient vacuum or air leak during vacuum process will not happen any more which was a major reason why can not make a good plate for printing. From now on the plate making can be 100% successful and save you 20-30 minute drawing down time and labor with UV inline exposure from accessing the vacuum procedure on the machine. up to 85 LPI which is good enough for screen printing and corrugated. This is a most economic and convenient way with 100% successful job to inkjet direct image on screen now, by using this new CTS + led/UV system, you do not have to hire a skilled engineer with high pay. 8. Existing soft wares for your graphic design can be kept as the same, our RIP soft ware is enable you to make fine dot for continuous tone printing which is no difference with a dot done by photographic film. From the RIP software, color separations, gradations and flat screen areas can be also reproduced as good as from an image setter. A. Photographic film is no longer required as well the exposure unit with vacuum, computer image can be printed direct on any sized screen frame. B. NozzleBlack inkjet printer is costing you as common as a printer from market, which is saving you a lot of equipment investment and expensive consumables as photo film. C. No need to use vacuum unit any more, no more contact problem in between film and screen with frame so it is easy to make a good plate with 100% success. D. NozzleBlack CTS + led/UV exposure inline simplified the plate making procedure for easy access and saving 20-30 minutes of processing time. Skillful engineer for plate making is no longer required. 1. How NozzleBlack CTS inkjet printer was created? Since LaserBlack enhancer has been created in 2006, we have about 20000 units used for screen printing all over the world satisfactorily, some of the users are requesting for a new method to make bigger size film with good enough black density economically as LaserBlack enhancer. After it, there are so many CTF system to print on film in the market with special ink and special treated film for screen plate making which is not economic at all. Our RD team was thinking more than that: a new technology can print on any untreated film as long as it is a transparent substrate in order to substitute photo film. In addition, to be able to print image on the emulsion coated screen frame directly with no film / no vacuum / no more exposure for 100% successful jobs as well as for labor and cost saving. Since it can print on any untreated film, therefore it is also can print on any emulsion on the screen mesh, therefore the CTS inkjet printer was born and tested to be reliable and stable of running in 2014, which is 8 years after the birth of LaserBlack. 2. What are the advantages to use NozzleBlack CTS inkjet printer? a. No film cost only cost of ink. b. No vacuum and no more failure, because of exposure inline the printer. c. LED-UV exposure right after print to cure and harden the emulsion. d. Good for high speed production of platemaking up to 40m2 each day. 3. How is the resolution and density from a NozzleBlack CTS inkjet printer? Screen frame after photo emulsion coating and drying can be put on the CTS printer. The opaque density is over 3.50 which is good enough for screen platemaking and as good as a photo film from an image setter with chemical developing processor. 4. Is the black image will fade / disappear? The black image printed of black area is dry up immediately after an IR lamp blowing with hot air which will never fade away and disappear. 5. Shall we use special ink for NozzleBlack CTS inkjet printer? Yes, NozzleBlack CTS black ink is a super-black nano ink in water base, print with only a very thin black layer can reduce the cost of ink consumption but still keep a high black opaque density to block the UV light during exposure. 6. How about ink consumption and print speed of a NozzleBlack CTS inkjet printer? Ink consumption of our CTP is 10-20 ml per m2 printing depends on the black area of image to print. Print speed is 1.5 – 3.0 m2 per hour i.e. 20 - 40 min. per m2 depends on the model and RIP settings. 7. How about the finest resolution can we achieve? Color separation and screening jobs can be done by RIP software recommended by us. Fine screen dot can be done up to 85 lines per inch which is good enough for screen printing. Skilled engineers are not required any more for color separation / dot shape / ruling / angle all can be set by RIP software which is just one click from your PC. 8. Any toxic or hazardous chemical used on the ink. Ink is a water base product, environmental green and friendly which contents non-toxic and not harmful chemicals. 9. What kind of working spot shall we need? An air-conditioned room is good for this precision printer which is making film and making plate at the same time for you, needs a clean, cool and dry place to work. 10. Where can we buy the ink? Any shipping problem? Ink is packed in a cartridge of 700ml available from our dealer or from us without shipping problem, which can print 35-70 m2 of black image. Please note. Other ink is not recommended for our printer to prevent block and damage of printer head. 11. After print, how to take off black ink? a. During developing process it is easy to wash off the black ink by high pressure water. b. Other platemaking procedures are the same with conventional method. 12. Can we use any other ink to print? No, you can not use any other ink for the channel and nozzle head make be blocked and damaged. 13. Black ink will dry quickly right after print? Yes, we have an IR lamp acting as a heater with hot air for drying up the ink quickly to prevent ink spread in order to keep fine image and dot area clean and clear. 14. Why NozzleBlack CTS inkjet printer can print on screen frame? The printer is designed for the height up to 100mm therefore it is good for a screen frame to insert under the x-axis of our printer for direct image and UV exposure inline at the same time. If the frame is not square, don’t worry about it, we just print on the surface of the mesh by a very special way from us, so the design is secured with sharp image. Meantime, it is free to put many frames on the flatbed as long as the bed can carry, by setting the frame positions from PC you may print the frames in a time to save time and labor. Most important, the frame is not necessary to lock, just put the frames on the flatbed freely. 15. Shall we adjust NozzleBlack CTS inkjet printer frequently? As mentioned the CTS printer will clean the nozzle head frequently and automatically, once you have set up the conditions and running smooth according to your production, it is not necessary to adjust the printer at all. 16. How about warranty from you? Using of any ink other than NozzleBlack product will be also exempt from our warranty. 17. Any tips to print fine and quickly for my plate making? A. Always to print following instruction and training from our engineers. Do not use any ink other than our products which will block ink channel and damage nozzle head. 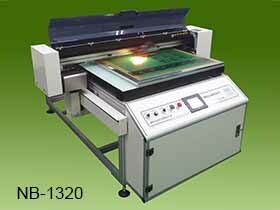 B. CTS printer will clean frequently and automatically, which will keep the head in best condition to print. C. Paying more attention to ink and to see if it is enough for your daily job for mass production. 18. Any other suggestions from you to use this CTS for our mass production? Please note the bigger the plate the easier for you to do your plate making in order to save your time and labor with no vacuum / no exposure for no failure. 19. How about ink consumption? 10-20 ml per m2 black print depends on image area and settings of dpi / pass / dot size …. In case of any more query, please do not hesitate to let us know. We will be happy to answer all the questions for you.